Prefer to talk to someone? Call us on 01730 260446 to explain what your bike needs. A large number of parts in stock for a large number of brands, including (but not exclusively) Scott, Merida, Orbea, Bianchi, Raleigh, Trek, Specialized, CUBE and many more. 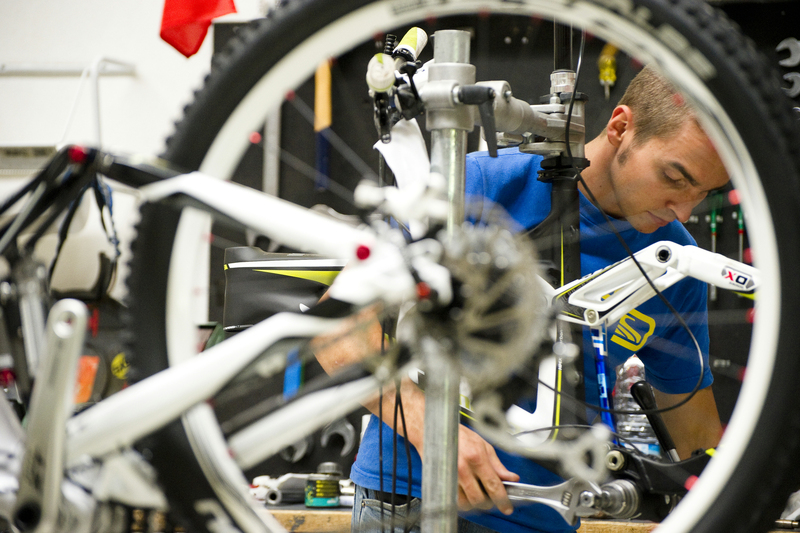 We boast certified & experienced mechanics who are experts in Bosch, Shimano, Brose electric bike systems. NEW!!! We now offer a local collection and drop off service from £10 each way. Call us or Email to arrange delivery today! We can now arrange with you to come and collect and/or deliver your bike at times that suit you. We use our own quick and secure service (no middlemen), so you can be sure your pride and joy are in a safe pair of hands who know and appreciate how precious your bike is. 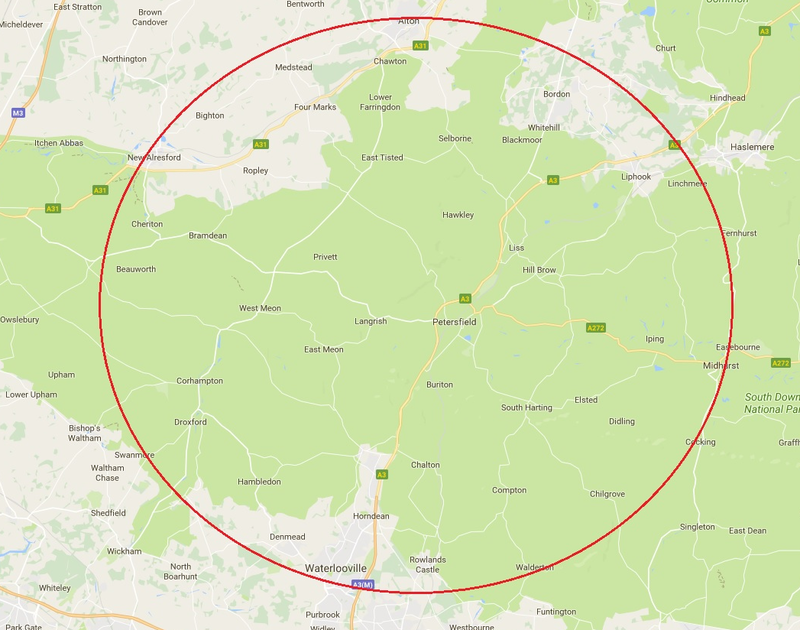 We currently offer this service in the area shown opposite. Both regular and electric bikes are welcome* (even ones that haven’t been purchased through us) and our friendly and knowledgeable mechanics have over 25-years experience and can deal with any task. 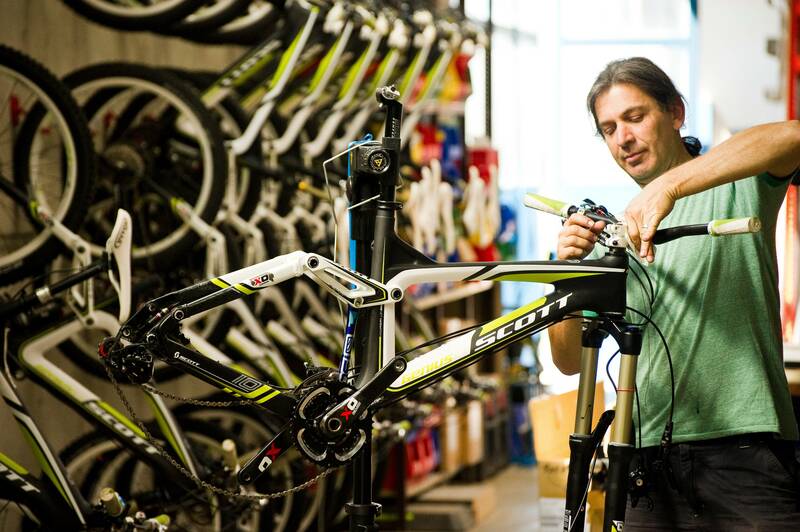 Our mechanics are trained and certified on both Bosch and Shimano electric bikes ensuring that all work carried out is of the highest standard. We offer a number of different service options (see above). For further details on getting your electric bike serviced or repaired, please contact us. *We reserve the right to refuse to service any bike. 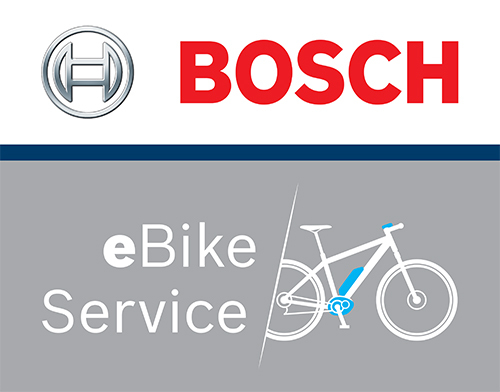 Please note that we currently only service/repair electric bikes (ebikes) with Bosch or Shimano systems.